21:57 – A Sunday talk from The Center for Spiritual Living North Jersey by Rev. Michelle Wadleigh. Your life is the result of the story that you write. You are the writer, the director, the actor and the audience. It is your story, so you might as well write it the way that you want. Selections from our Easter Sunday Worship Service for The Unitarian Universalist Congregation at Montclair by Rev. Judy Tomlinson and Rev. Charles Blustein Ortman. 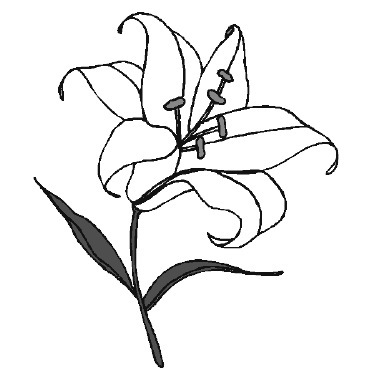 18:27 – Selections from The First Unitarian Universalist Church of Essex County’s Sunday Worship Service by Rev. Charles Blustein Ortman. While Rev. Darrell Berger was leading our service at The Unitarian Universalist Congregation at Montclair, our own Rev. Charles Blustein Ortman led the service at the First Unitarian Universalist Church of Essex County in Orange, NJ. as part of a pulpit exchange between the two congregations. Both ministers decided to use the same title for their sermons, not knowing what the content of each other’s talk would be. We are posting both sermons here so that both congregations can experience both sermons! 17:01 – A talk from The Center for Spiritual Living North Jersey’s 4th Annual Rally by Rev. Michelle Wadleigh. For four years in a row now, we have brought together speakers and musicians to fan the flames of your heart and to touch that deep part of your soul. This year participants had an opportunity to really experience their own heart, to be creative along with everyone in attendance and to be tantalized with a variety of talent and individuals. CSLNJ aimed to satisfy both sides of your brain this year. Other speakers included President of The Centers For Spiritual Living Rev. Dr. Kenn Gordon, Rev. Dr. Chris Michaels, Rev. Muata Rasuli, Rev. Elizabeth Mora, Rev. Alice Reid and Mari Avicoli. Did you miss the Rally and want to have some of this magical inspiration for yourself? CD’s are available for $10 per talk, or purchase the entire set for $65.00. Call the Center at 973-669-1900 weekdays from 10am-3pm to place your order or get your CD’s at Sunday’s Celebration! Downloads of the recordings will be available soon. Share your experience with everyone you know so that we may, as Rev. Dr. Kenn Gordon declares, “Create a world that works for everyone“! …then call and order today! 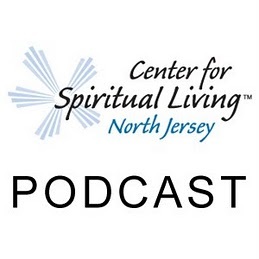 31:28 – A Sunday talk from The Center for Spiritual Living North Jersey by Rev. Dr. Kenn Gordon – Centers for Spiritual Living Spiritual Community Leader. Dr. Kenn speaks to us about using The Thing Itself in the most creative way possible to become part of the change in the landscape of this life we live. 16:59 – Selections from The Unitarian Universalist Congregation at Montclair’s Sunday Worship Service by Rev. Darrell Berger. Rev. Darrell Berger has served the First Unitarian Universalist Church of Essex County in Orange, NJ. since 2008. Rev. Berger’s theology is radically eclectic. Sermon topics range from the Judeo-Christian-Islamic tradition, to eastern religions, to philosophy and poetry, all toward the goal of bringing peace and justice to the world by actively working for it in the local community. He is an honorary member of the Unitarian Church in Prague, for his assistance in linking that congregation to the Unitarian Universalist Association in the U.S.A. While Rev. Berger was leading our service at The Unitarian Universalist Congregation at Montclair, our own Rev. Charles Blustein Ortman led the service at the First Unitarian Universalist Church of Essex County as part of a pulpit exchange between the two congregations. Both ministers decided to use the same title for their sermons, not knowing what the content of each other’s talk would be. We are posting both sermons here so that both congregations can experience both sermons! 18:39 – A Sunday talk from The Center for Spiritual Living North Jersey by Rev. Michelle Wadleigh. The power of creation will never be found in chaos. On the contrary it will only be found in the deep peace of your being. As you set your GPS for Transformation, you will find that you need to first find the peace of possibility. 24:44 – Selections from The Unitarian Universalist Congregation at Montclair’s Sunday Worship Service by Rev. Charles Blustein Ortman. “I love spring anywhere, but if I could choose I would always greet it in a garden. 18:45 – A Sunday talk from The Center for Spiritual Living North Jersey by Rev. Michelle Wadleigh. When you are creating change, sometimes you just have to put your foot through the door and create the life of your dreams. 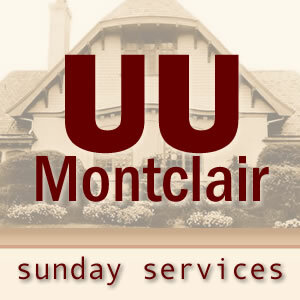 22:18 – Selections from The Unitarian Universalist Congregation at Montclair’s Sunday Worship Service by Rev. Jackie Lahey.